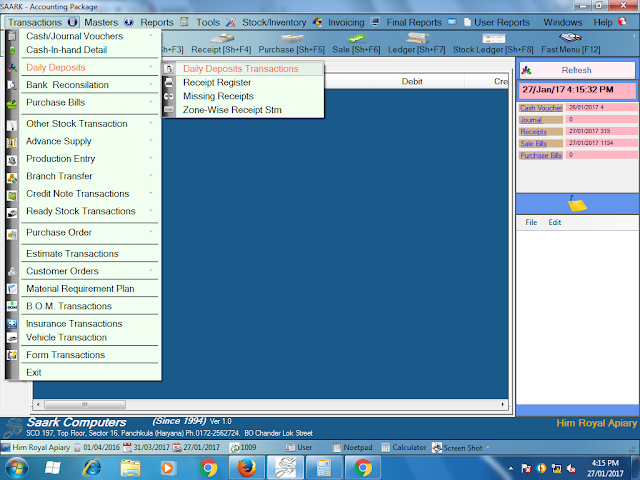 Today I learnt how to enter daily deposits amounts in saark accounting software. daily deposits means, which amount we received in installment from our customers on the basis of credit sale. 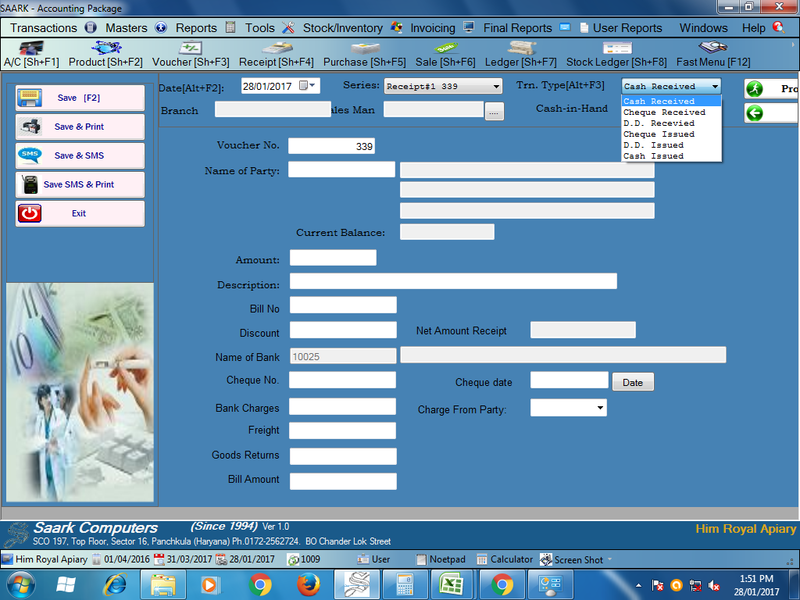 its include cash received or check received. so lets learn how to enter receipt transactions in saark accounting software. 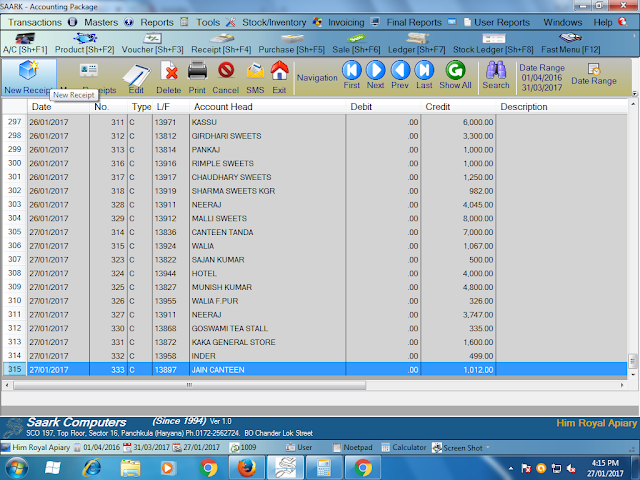 You will found a new screen, then click on Tab NEW RECEIPT Which is the left side of page. After that you will see a new screen then select date, cash receipt or cheque receipt, enter party name and amount received from customer. After that click on SAVE Tab and save the receipt transaction. For cheque receipt mentioned the cheque number and select cheque receipt instead of cash receipt.